Gogoprint, a Thailand-based internet-driven printing company, is expanding into Malaysia this week with hopes of also tapping into the Singapore market, Founder David Berghaeuser told e27. “For us, we looked at the different markets and everyone is going to Indonesia. But we made a pretty informed decision to go to a more developed market such as Malaysia,” he said. “What we also found interesting about Malaysia is that it is very close to Singapore, which is another very developed market with a sizeable printing industry and a lot of big corporates that naturally have high printing demand,” he added. Berghaeuser said that if Gogoprints can excel at cross-border logistics, there will be a lot of rewards for entering Malaysia, but being within shouting distance of Singapore. In a world in which the internet has delivered a major blow to the printing industry, Gogoprint helps companies minimise their waste and make better use of their resources. What the company does is essentially aggregate requests from a consumers, SMEs, and corporate clients into one ‘batch’ for the local printer. This allows for printers to leverage the full capacity of their machinery — which is often extremely expensive. The company considers SMEs as its sweet spot clients, because these are customers that traditional printing companies tend to overlook. The printers either don’t have the infrastructure to service smaller orders or to make expensive investments with the goal of wooing larger corporate clients. “We see our mission in building a platform where we can sell those smaller customers on scale, very efficiently with very fast delivery times,” said Berghaeuser. The company does have larger clients like Jameson, Booking.com and Lazada. 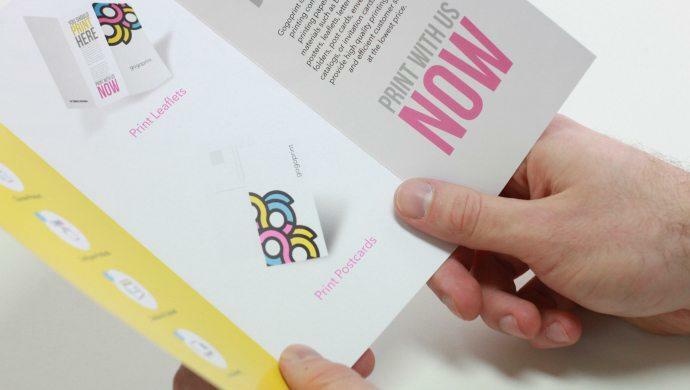 Gogoprint has raised a mid-six-digit seed round and boasts over 20,000 different printing combinations on the website. It has about 30 employees spread between Thailand and Malaysia and is growing at about 25 to 30 per cent month-on-month. Berghaeuser, who played a key role in bringing Zalora to Thailand, says the most orders involve business cards, but flyers and leaflets bring in the most revenue. In its planned expansion, Gogoprint could enjoy a situation that is alien to Malaysian and Singaporean startups. Malaysia and Singapore both have vibrant and relatively mature ecosystems, so often when companies try to expand across Southeast Asia, adapting to foreign markets can be especially difficult. But ease of doing business in Thailand is more difficult (for example, foreigners have to navigate strict ownership laws). So, in some ways, expanding into Malaysia may have certain reprieves — like the fact that english is widely spoken in Malaysia. “But in Malaysia there are more foreign companies, it is easy to enter the market. So we can see these tradeoffs between more developed and more acessable markets,” said Berghaeuser, speaking about an expectation of competition in Malaysia. Moving forward, Gogoprint has plans for further regional expansion, wanting to enter at least two more markets in the next year or so. In that timeframe, Berghaeuser said he hopes two of the four markets would have reached break-even or have gotten close. For now, the first step is Malaysia, and that journey kicks off this week. The post Thailand’s Gogoprint expands into Malaysia, sees potential in Singapore market appeared first on e27.